The detail on this is amazing! Was this shot using a macro lens? 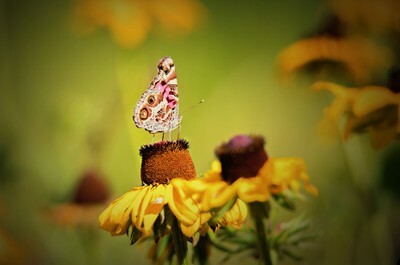 Painted lady butterfly on rudbeckia.